Butterfly symbolizes death, rebirth, and cycles. Your identity is an illusion. It can and will undergo endless deaths, but your true essence and soul continues on. Butterfly shows you that death can be beautiful and freeing. As you go about your life as a caterpillar crawling on branches and munching on leaves, you don’t even conceive of the transformation that’s in store for you. When the time comes for a big change in your life, Butterfly wants you to know that it’s okay to wrap yourself in a cocoon of self-care. It’s okay to seek isolation for a period of time. It’s okay not to know who you are or who you’re becoming. It’s okay to sit in your darkness. 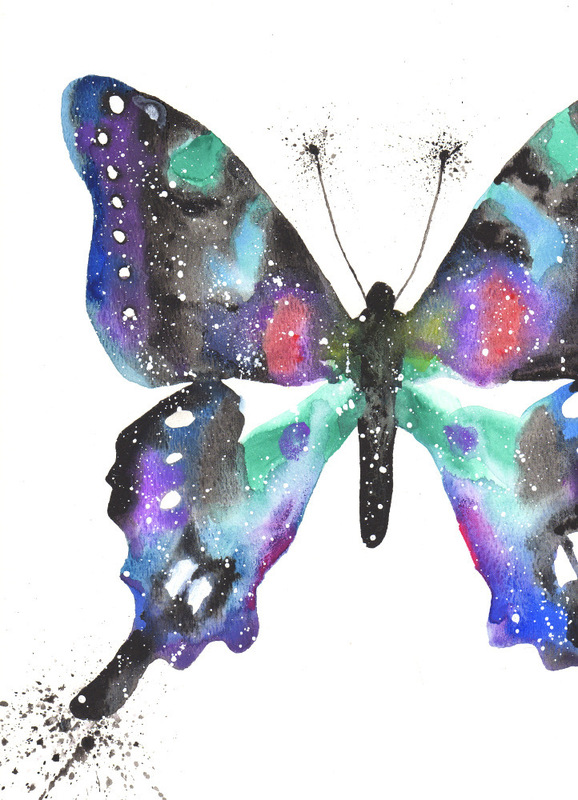 When you’re ready, you’ll burst from your chrysalis and be reborn as a beautiful, free being. This cycle is forever happening on every level of your life (and everyone else’s). From the cells that are dying and being reborn each day to the rites of passage we go through in life that gets us to question our identity (puberty, education, jobs, relationship statuses, parenthood, illnesses, injuries), butterfly reminds you that this a natural, beautiful cycle. Keep practicing embracing the cycle of death and rebirth as it infinitely unfolds so you can fly free with the Butterflies. I want to hear about your Butterfly experiences. What stories or dreams have you had? Please share and join in the conversation below!